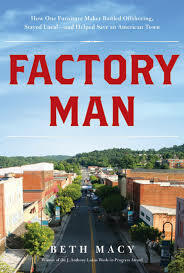 “Between 2001 and 2012, 63,300 American factories closed their doors and five million American factory jobs went away. During that same time, China’s manufacturing base ballooned to the tune of 14.1 million new jobs.” (p. 322) This is a problem – a complex problem with various winners and losers. Who pays? “If the price is right you will do anything” (p. 265 – said by a chinese businessman about Americans). The “Factory” of the title is Bassett Furniture. The “Man” is John Bassett III, the chairperson of said factory and the grandson of the founder. The “Offshore” is China and other Asian competition. The “American Town” is Bassett, Virginia. 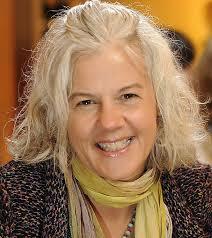 Author Beth Macy is a native Virginian, a reporter for the Roanoke Times which is about an hour away from Bassett. This book is an extension of several articles she wrote for the paper over a 2-year period. 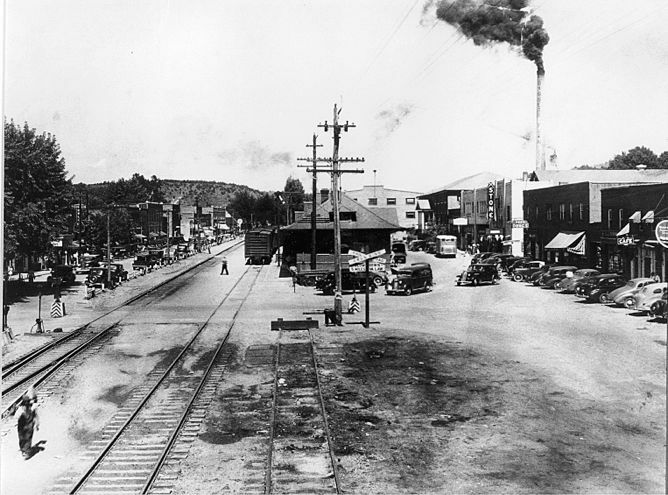 Much of the book is based on interviews of the family, the townspeople, other persons with connections to the furniture industry – particularly to Bassett. I thought it started rather slow because I wanted to cut to the chase – how did John Bassett III battle the Chinese and win? But I guess the family history is necessary in order to get into the head and heart of the Bassetts and the town, the area. The family history, the development of this one “furniture maker” (JBIII) is a moderately interesting story on its own after you get started but it’s good thing there’s a genealogy in the appendix – here’s an online family tree showing the major players. John Bassett III was born in 1937 into a family of squabbley, jealous, competitive and very successful furniture makers. 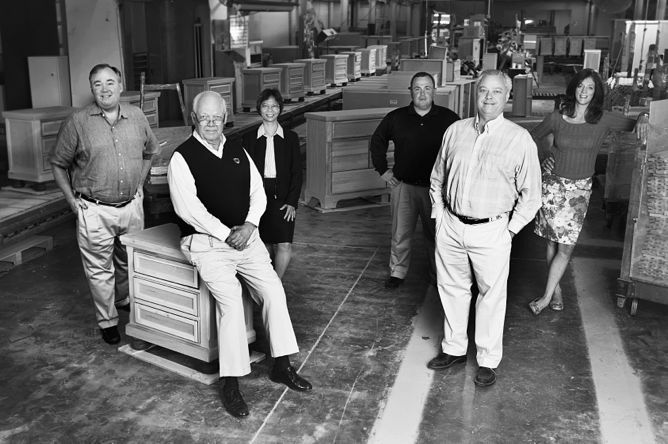 His grandfather, John Bassett, and his brothers started the Bassett furniture company in 1902 and then bought others and created more and eventually ended up with a web of furniture companies in Virginia and North Carolina. His children and grandchildren inherited positions in the companies, but they had to work very hard to earn their place and keep up. So although the first third or almost half of the book is made up of family rivalries, town gossip and more, it’s good background for going into the rest of the narrative. Macy also looks at the workers of the town of Bassett, Virginia and surrounding communities in the Appalachian hills. JBIII grows up in the usual way for the grandsons of the founders, but then he’s transferred by his brother-in-law, the chairman, to a small and old plant in the North Carolina hills. It’s from this outpost that he proves his mettle. The Vaughan-Bassett team that took on China, from left: J. Doug Bassett IV, John D. Bassett III, Taiwanese translator and consultant Rose Maner, company comptroller Doug Brannock, Wyatt Bassett, and Vice President Sheila Key. Meanwhile, China was producing entrepreneurs and they wanted in on the American market whether they were selling more and more cheaply (as well as cheaper goods) to the manufacturers or to the retailers. I was impressed with the way they designed their furniture to fit the best settings on their machinery – totally different from the design first way US makers did it. The Asians were serious, studious, tenacious, and fast JBIII had his work cut out for him. American companies went out of business, workers were unemployed and this happened , in part, because China was cheating by subsidizing their entrepreneurs. With orders plummeting more plants closed. It looked like the end was nigh. All that said, a few plants did survive including that of John Bassett III. But what’s next? 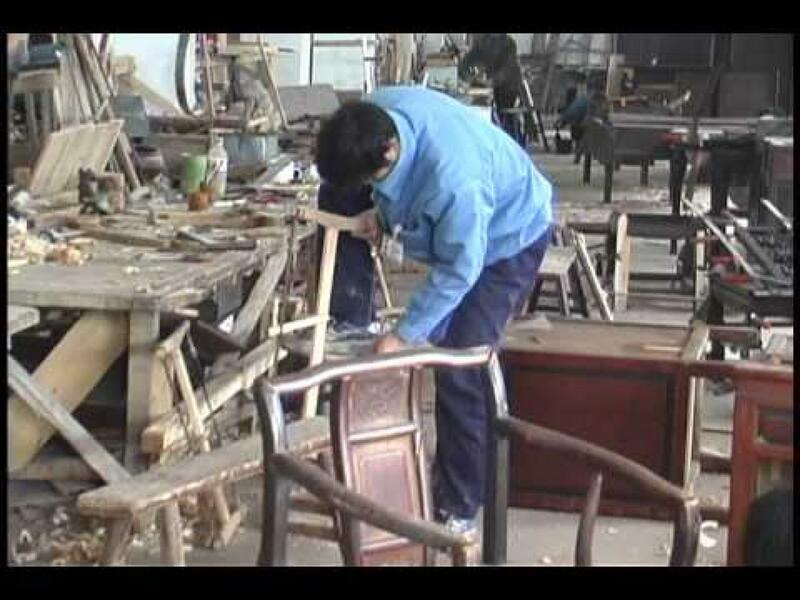 Where will furniture making go when the wages of Asian countries rise again? Or when China’s emerging middle class wants more furniture than the US does? Machines are already in place doing much of the labor – shipping costs come down – and maybe some jobs come back to the US? This is the subject of the last chapters. The narrative reads like a rather “down-home” novel – there’s a certain suspense in whether JBIII will succeed or not even though we know he will and the Southern vernacular gets a bit heavy at times. But even that has a point – these are NOT the big city Yankee folks of Boston or Minneapolis or Denver or, god forbid, San Francisco. 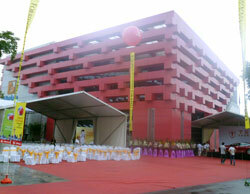 The new Lifestyle global marketing center is at the JSWB International Furniture Village in Shanghai. The narrative seems digressive at times, for instance going from racism to sexism in a page or two, detailing the wrong-doing of the Bassett family from the founders of the company to the contemporary generation. But often the digression serves a purpose providing insight into the mindset of a man who took on Chinese imports.